This week started badly and continued in the same vein as far as catching fish was concerned. On the other hand I've learned quite a lot that may be useful in the future. 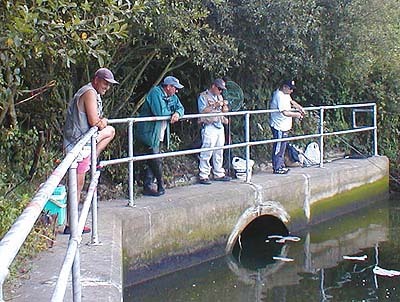 Last saturday I was due to join some other members of the National Mullet Club for their Dorset fish in. We had arranged to meet at seven in the morning to fish the tide up on a rocky shore but somehow we missed each other. 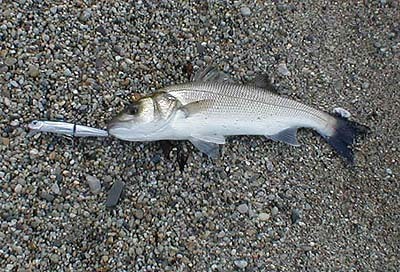 I walked several miles spinning for bass (no not mullet) and did not see fin nor scale of a fish. I did meet a couple of (non Mullet Club) blokes who were also spinning and one of them - Tim Hardy fished with me over a long stretch of shoreline. On reflection it was hardly surprising that we caught no bass as it was flat calm, gin clear and blazing sunshine although I would have expected at least a few wrasse - there was nothing! 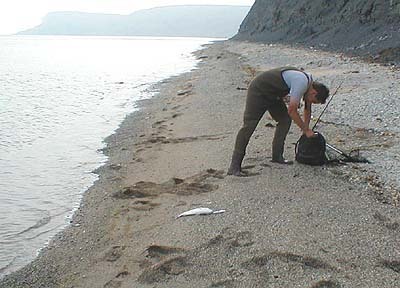 I arranged to meet Tim the following morning to explore a different stretch of beach which I had not fished for years. Later in the day I found the mullet men fishing a sewer outfall. The treated effluent emerging from the pipe was not too unpleasant in fact only a faint aroma of detergent and a trace of froth showed that it was anything untoward. All the lads were very cheerful but it seemed that they had done little better than us in the morning (one fish caught,one fish lost and not much else). I chatted and watched for a while as they tried to tempt thinlips to their baited spinners but again the fish were uncooperative and it was difficult to induce a take. The following day I arrived at the car park to find that Tim's car was already there so I set off on the two mile walk to the appointed 'gritty beach' meeting place. I caught him up about half way there. A little further along, to our amazement, we found two anglers already fishing, with their beachcasters and rod rests set up on the sloping gravel. Tim and I decided to continue another mile or so and then to 'fish our way back' along. We started off with poppers, which Tim had never used for bass before. First cast a small fish swirled by my lure but would not take. We were encouraged. Ten minutes later another bass, bigger this time, had another go at my Skitterpop. Tim was watching as I twitched the lure and ,second twitch, the fish struck but I was impatient and failed to hook it. We continued on our way along the gravelly beach and, after a while Tim switched to a shallow diving jointed plug. It was not very long until he gave a shout and I looked back to see him playing a fish. It turned out to be a beautiful little bass in mint condition. The fish was photographed, unkhooked and returned. We moved on but that was to be our last bite. The other anglers were still fishing as we returned and had seen a good sized bass in the margin of the sea (typical of that spot as I remembered it and good to know that they still behave in the same way there) but they had only caught small wrasse on worm baits. We waited for the tide to drop so that we could get back along to where we had parked our cars and by the time we returned, hot and sweaty after the long walk in the hot sun, it was early afternoon. 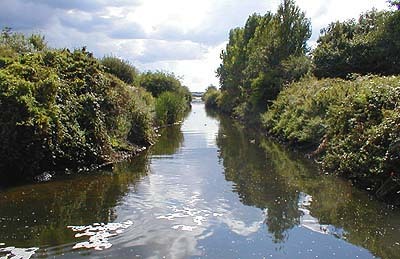 It was good to fish a stretch which I had not explored for some time and I shall return again - soon! Tim has just landed his bass.